When you brew beer in Alaska – a state that relies on planes and ferries almost as much as cars – you learn to think a little differently. Before Matt Tomter cofounded Matanuska Brewing Co. in Palmer, Alaska, he was a restaurateur and early craft beer pioneer. He came to Alaska from Tacoma, Washington, to attend flight school. Then he set up a pizza restaurant in the Nome airport (aptly called Airport Pizza) and started offering pizza delivery – by plane. He later built a proper restaurant, got in touch with his favorite brewery, and became the only place in town who could offer fresh beer on tap. The beer Tomter wanted to sell at Airport Pizza was made by Kevin Burton, who earned his reputation in the Alaskan beer scene as brewmaster at Glacier Brewhouse in Anchorage. He brewed the whole range of styles, but he was big on barleywines and barrelaged beers – they had a “Wall o’ Wood” in their cellar. Burton and Tomter loved working together in the Airport Pizza days, which even included the Beer Tasting Extra Extravaganza held at the end of the Iditarod race.  When they joined forces to open their own brewery, Burton took his beers with him. Sort of. Burton, a trained businessman himself, saw an opportunity that would benefit both his own startup ambitions and his former employers, with whom he still had a strong relationship. Glacier was reaching capacity at around 4,500 bbl/yr. 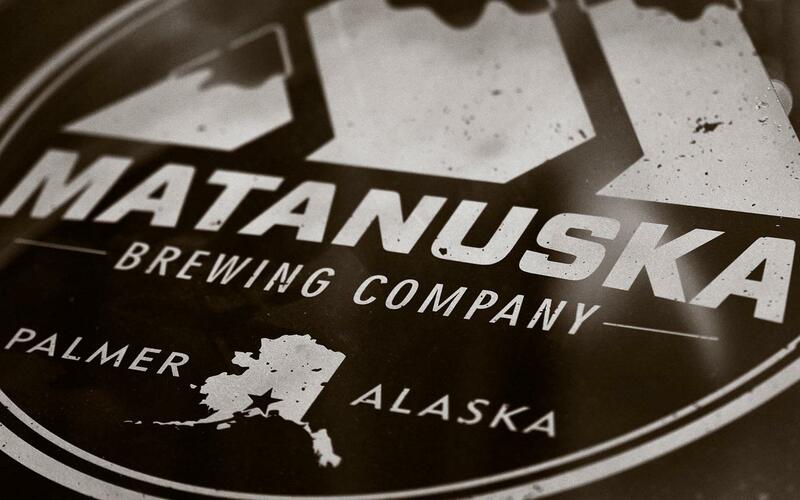 So, Burton and Tomter came up with a clever if unorthodox business model for Matanuska Brewing Co. to brew and can both its own beers as well as several Glacier Brewhouse beers. This helps Glacier increase its capacity, distribute outside the restaurant, and free up on-site space for developing new beers. 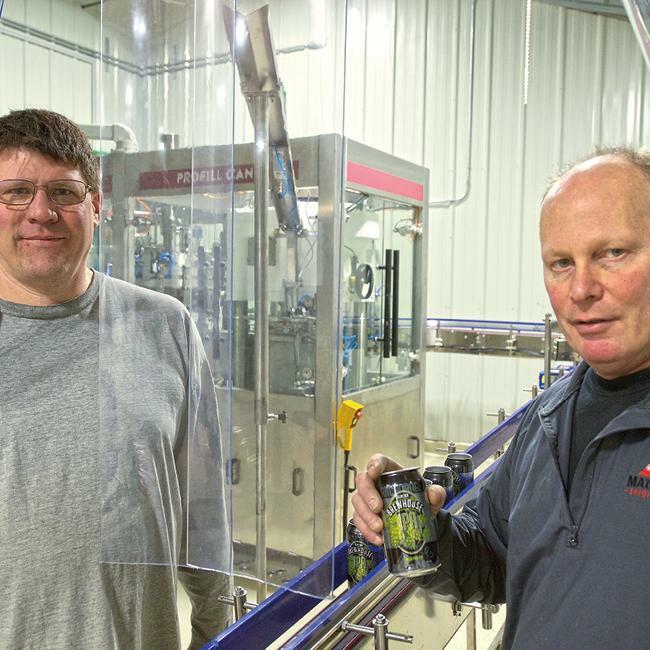 Burton and Tomter had brewed and packaged on enough equipment to know what they wanted when it came time to build out their facility – which was going into an old dairy in Palmer, Alaska. They eventually chose a four-vessel, 40 bbl brewhouse. 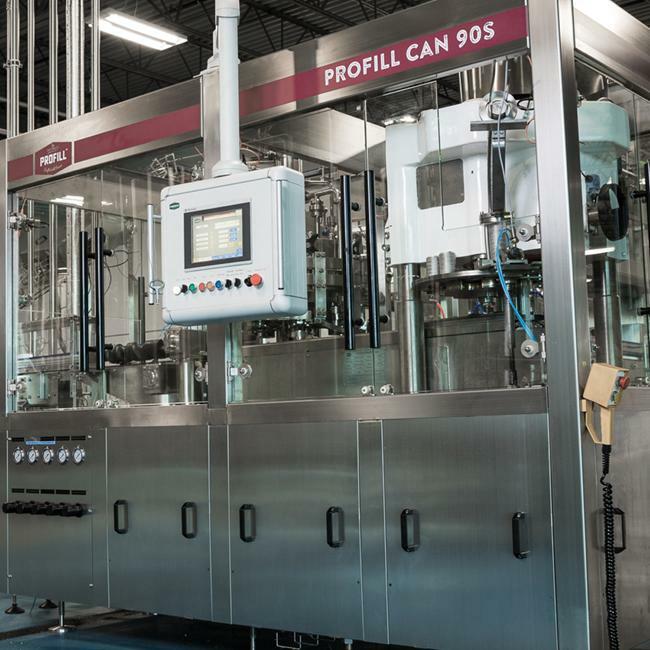 Then they needed a canning line. Burton spent the first two days of the CBC-2017 last year walking up and down every aisle of the trade show. He kept careful notes on booths he wanted to visit again to learn more. “I had been looking at all these in-line fillers that did 40 cans per minute,” he says, “but I didn’t like the way they were running. 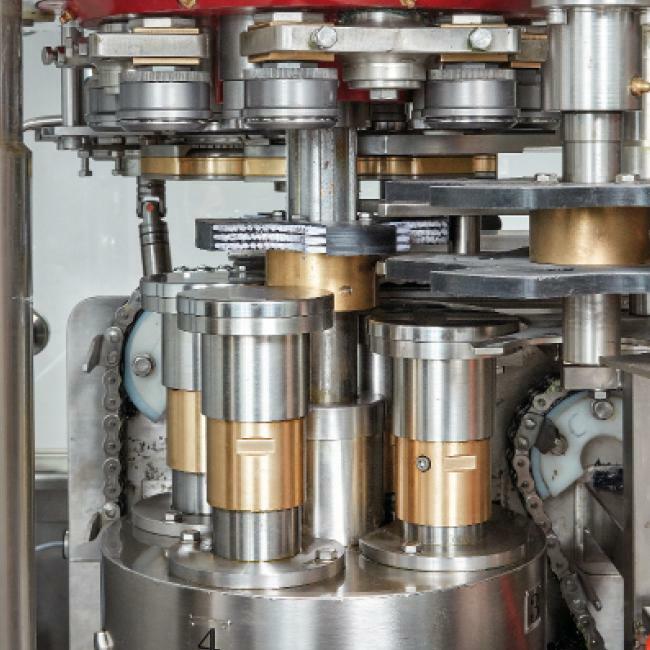 They weren’t as sanitary as I wanted, most of them weren’t counter-pressure, gravity-fill technology, and most of them weren’t fast enough.” The problem was that it looked like the next step up was a $1 million line from someone like Krones, and that just wasn’t in the budget. Burton and Tomter said they ran their first brew in February and canned their first 80bbl batch in early March in under 5 hours! 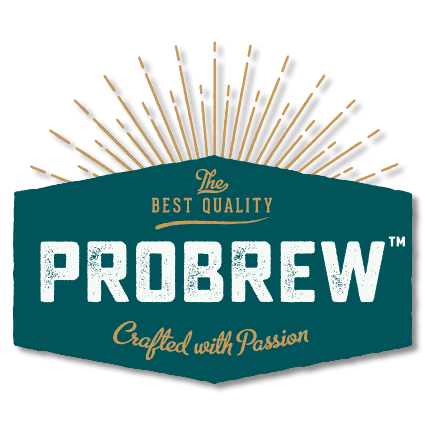 “The ProFill can filler and complete line ran great!” “I’ve been dealing with a lot of people while putting this brewery together, but these ProBrew guys have been really good, really professional and skilled.” Matanuska will brew and can Glacier Brewhouse’s Blonde, Imperial Blonde, IPA and Raspberry Wheat ales. In addition, they will start out with four of their own beers: Snow Bike White, Pack Raft Red, Long Track IPA, and Sky Cab Golden Ale. Alaska residents should expect to see cans of both brands on the shelves by the end of March. Those of us in the lower 48 will have to hope they see rapid expansion down our way.